The Round Up by Lost Surfboards is a great option for when the waves are pumping but the Rock Up is a little too gunny. Keeping the same aggressive rockers and outline, this board has been tweaked to include slightly fuller rails that are more forgiving. The Lost Round UP is a great fun step up option when the waves are pumping but can also perform when they're just above average. 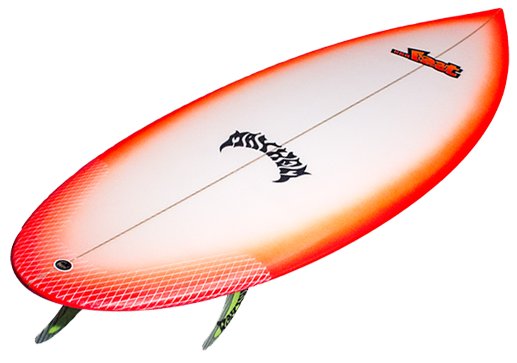 Great for controlling speed in head high and larger surf and hollow more powerful waves. Artwork not included - please select at STEP 5.